The terrorists in Pakistan, and elsewhere, are fortunate in having unsolicited support from a cross-section of society on so many issue in more than one way. The issue on which they are indeed grateful for this support is the campaign against drone strikes. This campaign has been launched on the basis of self-defeating arguments. The first argument, also advanced by the official spokespersons is the legality of drone strikes. The opponents of drone strikes further argue that use of drones in countries like Pakistan violates the sovereignty of the country and that these strikes kill innocent civilians along with the terrorists. They also argue that these strikes breed terrorism and anti-Americanism in Pakistan. This campaign is generally rhetoric, without substance and based on poor logic. Those opposing drone strikes are media anchors, columnists in Urdu print media and politicians who are otherwise not pro-terrorists but who love to play to the galleries. The very same opponents of drone strikes are rarely seen condemning the suicide bombings, target killing and massacre as a result of IEDs. They forget that the biggest threat to the state sovereignty are terrorists themselves who have killed security officials in numbers far exceeding those killed in drone strikes. They also forget that innocent civilians killed by terrorists are ten times more than those killed by drones. It seems that the terrorists have won the first round of battle of perceptions. The opponents of drone strikes are indirect sympathizers of terrorists. These sympathizers are foot soldiers in the war against the state and the social order. The most the terrorists need today is a voice against drones as they can fight anything and anyone but they are helpless when they are killed by the drones. The drone strikes may have weakened the ranks of militants, but they apparently thrives on these attacks by exploiting human losses to pressure the society, and ever-ready politicians, to cry hoarse against drones. 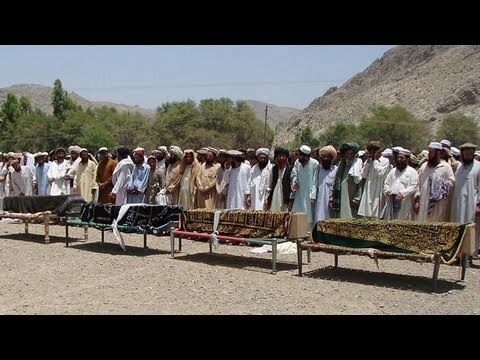 According to Foreign Policy, U.S. drone strikes have killed between 1,800 and 3,100 people in Pakistan, along with hundreds more in drone attacks in Yemen and Somalia, as a result of the United States’ efforts to combat al-Qaeda and its affiliates over a period of ten years. The rise in strikes since the beginning of the Obama administration, and the growing stridency of questions surrounding the legal, moral, and practical efficacy of the program, have led to a lively debate among the commentariat. This debate is indeed important, but it is also crucial to understand how the drone program has affected the jihadis, and how jihadis have deployed the issue of drones in their propaganda. This is a necessary part of gaining a wider understanding of whether the program is a worthwhile endeavor. According to CNN Security Blog, the dire impact of CIA drone missile strikes against suspected terrorists in Pakistan certainly did not go unnoticed by Osama bin Laden, prompting the al Qaeda leader to repeatedly warn associates to take appropriate security measures, according to documents seized during the raid on the al Qaeda leader’s Pakistan compound last year. In a May 2010 message to his chief of operations, bin Laden highlighted the importance of the exit from Waziristan of al Qaeda leaders, especially the ones that have media exposure. He offered advice to live in Kunar which is more fortified due to its rougher terrain and many mountains, rivers and trees, and it can accommodate hundreds of the operatives without being spotted by the enemy. Bin Laden explained in an April 2011 letter that people should live on the outskirts of cities so they will be less obvious and reduce the security dangers. He even warned his colleagues to get rid of the bag that money might be exchanged in because the bag might have a tracking chip. This clearly shows that if al Qaeda leadership was afraid of anything, it was drones. These drones had primarily been used for surveillance purposes in Pakistan, but in 2004, the CIA upped the ante by firing the first missile from a drone at a terrorist target in Waziristan. Hundreds of attacks have been launched since then. The other thing related to the fear of drones was the spy network in the tribal region on whose precise intelligence these drones operated. The fear of infiltrators has created an atmosphere of paranoia within the jihadi movement, and has led many of al-Qaeda’s operatives in the Pakistani tribal areas to move to more urban areas like Karachi. Statistics has shown that drone attacks are not counterproductive as the Americans are being made to believe. These attacks and the killing of top terrorist leaders have indeed crippled the command structure of al Qaeda. Frequent drone strikes in northwest Pakistan have also degraded al-Qaeda’s ability to train individuals over long periods of time. The terrorists have put up a brave face to drone attacks calling these strikes as cowardly. They have exploited these strikes to their advantage through brilliant propaganda and creation of misperceptions. In addition to highlighting civilian casualties and showing pictures of dead children, the al Qaeda sympathizers in the media have used critical analysis of the drone program from individuals in the West to gain sympathy for their plight. Some analysts believe there could be blowback from the drone program which might be encouraged to plan a revenge attack on the United States. Foreign Policy reports that after Faisal Shahzad‘s Times Square plot failed, he told investigators that one of his primary motivations had been the increased pace of drone strikes in the Pakistani tribal belt. Al-Qaeda leader Ilyas Kashmiri was also reportedly frustrated over the drone strikes in the tribal areas, leading him to plan an attack on the CEO of Lockheed Martin. The loss of militants’ leadership has pushed them to establish counter-spy networks, as well as beef up their operational security. Al-Qaeda Central’s ability to operate in Pakistan has been severely degraded. In spite of successful drone strikes, the militants still show the ability to plan attacks against the United States and still have influence in their local areas of operation. Defeating these groups with drones is unlikely, but the strikes have at the very least created a nuisance for the militants, as well as prevented more invasive military action that might have otherwise occurred. There are still lingering questions on whether or not the drones have played a significant role in radicalizing a new generation of fighters, but understanding how the drones are affecting and changing these groups can provide new perspective on a vexing challenge. It is time that the impact of drone strikes is properly evaluated and if these strikes are indeed counter-productive, these should be abandoned. But if these strikes do kill the militants, a formidable enemy of the state of Pakistan, then the policy of hypocrisy should be abandoned and this fifth generation warrior of the 4GW should be effectively used. FEAR’s aborted coup against president Obama should ring the alarm bells….